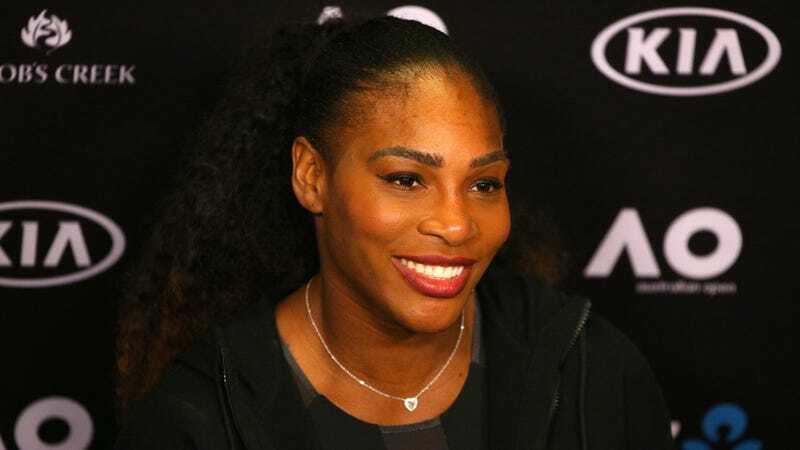 For Black Women’s Equal Pay Day, Serena Williams wrote an essay that reiterates how much the gender pay gap disproportionately affects black women workers. Growing up, I was told I couldn’t accomplish my dreams because I was a woman and, more so, because of the color of my skin. In every stage of my life, I’ve had to learn to stand up for myself and speak out. I have been treated unfairly, I’ve been disrespected by my male colleagues and—in the most painful times—I’ve been the subject of racist remarks on and off the tennis court. Luckily, I am blessed with an inner drive and a support system of family and friends that encourage me to move forward. But these injustices still hurt. These might all sound like obvious practical points that are widely known, but even when there is conversation around the issue, what compounds the problem is that privileged groups routinely fail to acknowledge that a wage gap even exists. Williams notes that, according to a survey conducted as part of her partnership with SurveyMonkey, 69 percent of black women perceive that there is pay inequity, compared to only 44 percent of white men. While a majority of those surveyed believe that the pay gap is real for both women and minorities, not everyone understands that black workers—specifically women—see more obstacles to racial equality and barriers in the workplace. Data doesn’t lie. It just gives a number to the gap women feel every day. It is my hope that I can give a voice to those who aren’t heard in Silicon Valley, and the workforce as a whole.